First, thank you for your condolences to my sister and our family yesterday. I'm always telling my crafty friends that their cards are CASilicious and today I have to say, with a dimple and an eyelash flutter, that my card qualifies for the hyper bowlie. 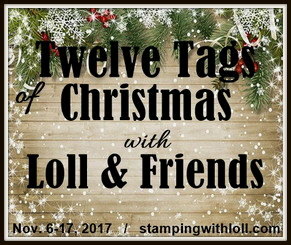 I've got some non-card photos to share in this post, too, so let's get right to the card. 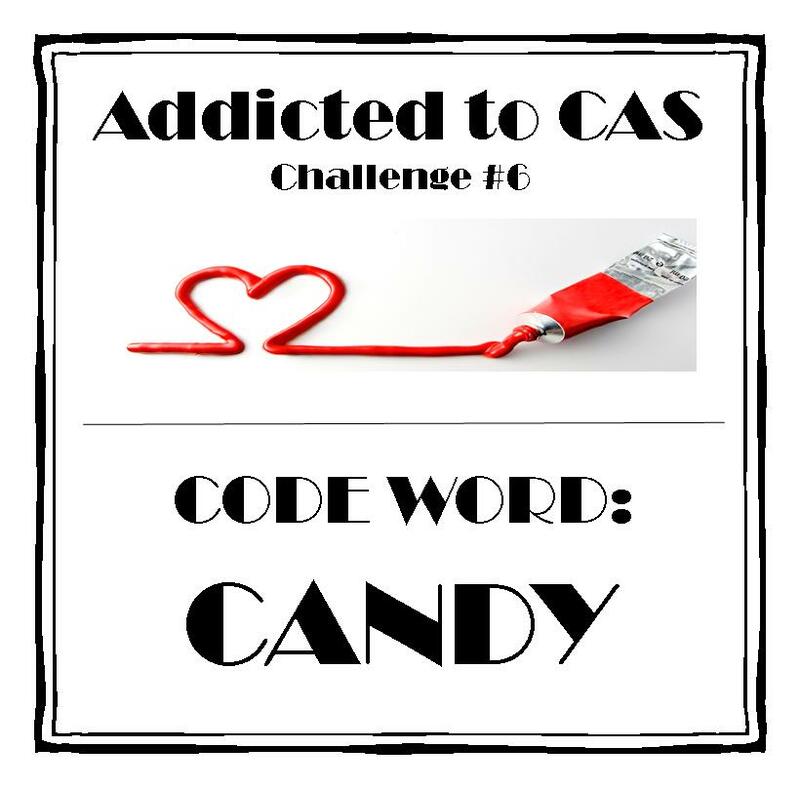 The current cue word challenge at Addicted to CAS (ATCAS) (#6) is candy. Num-num. say it with me, a door able! I LOVE these two fun challenges. I hope you check them out if you haven't already! Chocolate-covered cherries are candy to some people, right? I don't care for them myself, but they sure make a sweet card using SU! 's set, which I think is aptly called "Sweet Treats." I colored directly onto the stamp using various markers and then I added Glossy Accents to make them look all plump and satiny and CASlicious. I used the SU! mat pack thingie to poke the holes. I'm excited to welcome two more new friends! First, allow me to introduce Sharon (fatmonica) of Chasing Art. I feel it's important to clarify, in this day of dating websites, that Sharon's blog is a delightful romp about chasing art, the crafty kind, not Art, the dude. I am also delighted to introduce you to Skye of Big Blue Sky. Thank you so much, ladies, and welcome to the Playhouse! And then, luck of lucks, as I had the camera all zoomed for the kites, right at my right shoulder came zooming in a hummingbird to the feeder. First, tho here is a horribly blurry picture of our resident hummer, Hitler, with his scarlet red throat, the signature marking of an Anna's Hummingbird. We call him Hitler because he has never allowed any other hummer near the feeder in the, oh, ten years since we've had the feeder. That is, until this year. This year, Hitler sits nearby at the tippy top of the Japanese maple and allows this little hummer to drink. Because it is such a close-up, this little guy looks the same size as Hitler, but it's a lot smaller IRL. Me, ever the romantic, thought maybe it was a little girlfriend. But now that I've gotten these awesome close-ups, I think maybe it is Hitler, Jr. The little girl hummers, as with most birds, are not as colorful as the boys, so that's why I thought this little guy was a girl. Until today when I noticed this tiny patch of bright red blooming under his throat! So, since hummers can live a decade or more, I think that maybe Hitler knows he's getting up there and he is letting this particular son be the literal heir to the feeder. Or not. Maybe even girl hummers have a smaller spot of red. I hope any hummingbird experts will feel free to correct all my mispokings and conjesturing. In the meanwhile, up in my head, it is all quite fascinating. Also, I take Copious and Sundry medications, available online at Space Cadet.com. Also, I could check with Mr. Google, but I prefer Mrs. Madeup. Enjoy your day! No, seriously, enjoy your day. LITS! LOVE your card Darnell - you truly are the Queen of CAS, did you know that? Gorgeous little hummers there - and I hoped one was a female :( You could have called her Eva, to go with Hitler. And as for The Duke, I don't think I'd seen a photo of him before but he is EXACTERLEY as I imagined. Do you take him for walkies - or does he take you? On roller blades maybe? lovely card and great, great photos of the birds... nothing so exotic over here in the UK! Sweet card today Darnelle! I love the Glossy Accents on those chocolate cherries! Beautiful pictures. Many condolences to you and your sister. Beautiful photos and sweet card. Stunningly simple card. Love how you did those cherries. YUMMO! Those chocolate covered cherries look delicious! Great card and pictures! Thanks for sharing them! Yummy card Darnell. I love the glossy accents added to make the cherries all plump. Wonderful photos, the hummingbirds are very beautiful. As for the Grand Duke - what a handsome chap he is. Grand dog and I hope I never have to dog sit. She's too frisky for me. Fabulous photos Darnell! Those birds are just the sweetest. Your card is too. 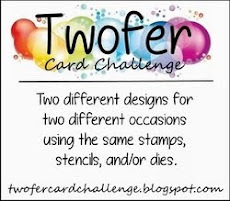 I do like the cherries but not a fan of chocolate but they look mighty yummy on your card. Good enough to eat! Super sweet card (pun intended) Darnell. And such wonderful photos TFS! Thanks so much for sharing with us at CAS(E) this Sketch this week! Sa-weet card! 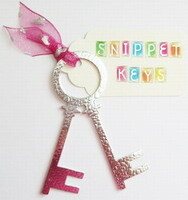 The Glossy Accents did the trick here - love the rounded corners! Now I want a chocolate bar! You're always thinking one step ahead by re-posting your card at the bottom, knowing full well we've all been distracted with your great photos! Love the card with those yummy looking cherries and those birds are so much fun to see so close! TFS! Phew - I didn't want to hurt your feelings, but chocolate covered fruit is still fruit, not candy (that's my story and I'm stickin with it! lol!) but that's not my problem, since I'm here from CTS land, and not ATCAS land! Thanks so much for playing along with us at CAS(E) This Sketch this week! Chocolate dipped cherries work for me!! Yum! Fabulous card. Hi Dolly. Great photos!! Those are some amazing birds in your trees ... and the hummers are beautiful! Your cherries might be fruit covered with chocolate but there are chocolate covered cherries that ARE candy and I say that qualifies. ;) I'm so envious of your hummingbirds. I plan to put feeders up this summer and hope they find them. Oh my goodness, I love those little cherries. Amazing job with the sketch. thanks for joining us at CAS(E) this Sketch! Haha...I so appreciate your post...got me lol! Those cherries look so delicious...very cute card! I really enjoyed your humming birds pix.... we don't have them here in HI so I've only seen them in photos or on TV. Thanks for sharing them and your doggie is adorable! Another doozy of a card from you my dear and although I share your dislike for those cherries they do look scrumptious ! The glaze makes the look so life like ! fab nature pictures and your big Duke is one hell of a gorgeous dawg . Oops forgot to say thank you for another fabulous card for ATCAS. Adorable card. I love chocolate covered cherries! Love the extra pictures you provided. The weather seems so beautiful where you are. Also, that is one gorgeous dog! The hubby and I have two little westies. num num indeed!!! Deliciously perfect CAS card! love the chocolatey cherries... and the photos are amazing, I kept "awwwing" and "owwwing" with each picture I would look at. Thank you for playing along with us at Addicted to CAS! It's hard to say what I enjoyed most about your post: your card, the commentary about the birds, or your ad libs under the pictures! TFS! A fabulous card and brilliant photographs. What beautiful birds you have visiting. Sorry to read about your Sister and the loss of her husband. My condolences to everyone. It is always sad when a life comes to an end. Hi Darnell! What delicious-looking treats you have on your card today! Those glossy accents sure show them off well. And your rounded corners! Love your hummingbird story ... how sweet that it's probably Junior. I didn't know they were so territorial. 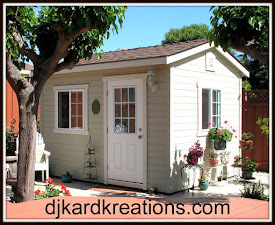 It's great you have such a diverse community in your backyard (so awesome for the grandkids!) Reminds me of my mother-in-law's place. The kids LOVE it there, esp. in the summer. Fabulous card, those cherries look good enough to eat! The glossy accents was the perfect touch! I am so sorry for the sadness in your family although perhaps with the long illness it was also a blessing for him? Hummingbirds are fascinating to watch, aren't they? I must have a little Hitler too! When I started paying close attention, I was quite surprised at how tough they were - those little things will chase away anything that gets near their feeders!! Those cherries are fabulous - and even though it's the wee hours of the morning here, I am going to have to dig out the few remaining chocolate cherries that I have from Valentines....mmmm!! Those darn cherries look good enough to eat except I can't cos you have glued em down so hard!!! Your humming birds look delightful. I didn't know that they would settle to drink thought they did everything on the wing. Off to have a read up on them on the World Wide Web. How would we manage without it now!!! Hugs Mrs A. From chocolate covered cherries to that handsome Granddog to the beautiful birds, I have so enjoyed this post. When I was working in the library, I wish I'd thought to cite Mrs. Madeup as a reference source! Those cherries look amazing, Darnell! Every time I try inking a stamp with markers the image is all anaemic looking. The gloss is an especially fabulous touch. :) Thanks for playing along with CAS(E) This Sketch this week! Your bird pictures are gorgeous! Whenever I was in Vermont as a kid I was always on the lookout for hawks and eagles. I thought they were so cool. Yesterday a Kiskadee landed on the fence post outside my window. I was admiring his yellow chest when he turned, looked me in the eye, crapped on the post and flew off. A real charmer! Gorgeous CAS card Dippy - just love those chocolate covered cherries....making my mouth water just thinking about them!!! lol Love your wildlife photos - great. Thanks for joining in the fun at A2CAS. Love your card - I have to agree with you on the chocolate covered cherries. Love chocolate and cherries - just not together. Thanks for the pictures. A worthy top 3 at Addicted to CAS! Congratulations on your top 3 at ATCAS! I wanted to be the one to inform you about it as you always do for, but I've been beaten by two other commenters! Doh! Love this card! Makes me want ice cream for some reason! Have a cherrio day Darnell!